Stephenie Meyer has put Midnight Sun, the fifth book in her Twilight series, on indefinite hold, meaning it could be a long time before Meyer addicts get their next dose of Edward and Bella. But bloodsuckers are rampant in modern fiction, from vampire detectives, hedonistic rockstars, and bloodthirsty children, to the Anne Rice brand of tragic immortal. We have a round up of modern vampire novels that will keep you knee deep in fangs long after Twilight's glow is gone. The Southern Vampire Mysteries by Charlaine Harris: The basis for HBO's True Blood, Harris' novels, which start with Dead Until Dark, are told from the perspective of Sookie Stackhouse, a telepathic barmaid in smalltown Louisiana. After an artificial blood substitute allows vampires to subsist without feeding on humans, supernatural creatures start coming out of the woodwork. Sookie strikes up a relationship with the undead Bill Compton. But when murdered humans turn up and vampires go missing, Sookie has to use her telepathic abilities to solve the mysteries. Anita Blake: Vampire Hunter by Laurell K. Hamilton: Like Harris' books, Hamilton's 16 volume series exists in an America where vampires, werewolves, and other creatures have recently integrated into mainstream society. Anita Blake is a professional necromancer and licensed vampire hunter, but in Guilty Pleasures is blackmailed by the powerful vampire Nikolaos to solve vampire murders around the city of St. Louis. She starts working closely with another vampire, Jean-Claude, though, unlike Sookie, insists, "I don't date vampires. I kill them." That lasts about three books. The Saga of Darren Shan by Darren Shan: Darren Shaw's adventures begin with Cirque Du Freak, in which young Darren is taken in by a vampire circus owner and becomes his assistant. 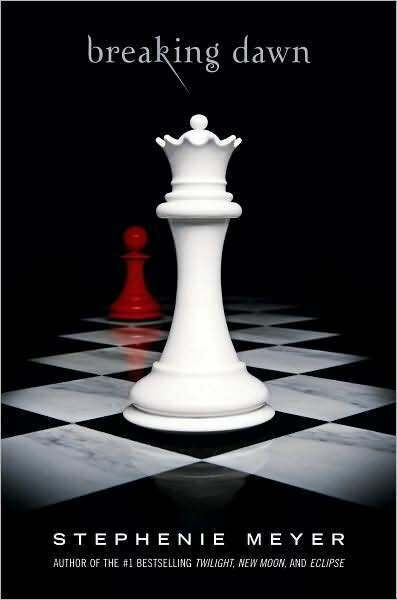 Darren must come to terms with his new life, learn about the vampires and their rival vampaneze, and becomes embroiled in a global vampire war. Let the Right One In by John Ajvide Landqvist: The inspiration for the other vampire movie currently in theaters, Let the Right One In follows Oskar, a lonely boy who endures the regular ministering of the local bullies. He befriends Eli, a child vampire. The tenderness of their relationship and the violence of Eli's nature stand in sharp contrast with the gray and dismal Stockholm around them. Lost Souls by Poppy Z. Brite: A young man who calls himself simply "Nothing" never understood why he feels so different from everyone else, and runs away from his adoptive Maryland family to find himself. He falls in with a trio of vampires, realizes he is one himself, and goes on a sexed-up, pill-popping, blood drinking journey to find Nothing's favorite band, the Lost Souls, an adventure that lands them all in that vampire mecca New Orleans. Fledgling by Octavia Butler: For those who like a heap of science fiction and social commentary in their vampire novels, there's the late Octavia Butler's final novel. Amnesiac Shori appears to be a young African-American girl, but gradually learns that she is actually a decades old member of an ancient vampiric race. The novel explores issues of genetic engineering, race, and the various natures of familial and voluntary relationships. Sunshine by Robin McKinnley: In an alternate Earth, a war with vampires has left human cities decimated and vampires in control of much of the world's capital. One night, Sunshine, a young pastry chef, is kidnapped by a vampire gang and left as bait for Constantine, a rival vampire they have captured. But when Constantine refuses to feed on her, she frees them both, drawing upon a long-forgotten magic. When she returns home, she is unable to explain her trauma and the nature of her dangerous alliance with the vampire. Peeps by Scott Westerfeld: Most of the vampiric creatures in Peeps and its sequel Last Days are demented monsters infected by a sexually transmitted parasite. But the protagonist, Cal Thompson, has a version of the parasite that lends him more traditional vampiric qualities. Unfortunately, he has to remain abstinate, lest he pass the monstrous infection to his partners. The Vampire Chronicles by Anne Rice: Stephenie Meyer's romantic vampires certainly owe a great debt to Anne Rice. Although Rice doesn't write about vampires anymore, preferring to focus her literary attentions on Christ, she helped pioneer the tragic, romantic vampire. 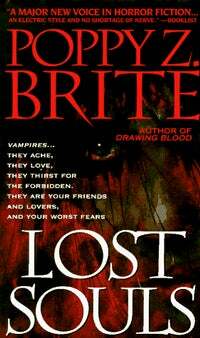 In the past decade, she has published five volumes of The Vampire Chronicles, most featuring her most famous anti-hero, the vampire Lestat.